Brilliant Harvest is a full service solar contractor based in Sarasota, FL. Whether you want to install a solar hot water system for your home, or a large solar thermal or solar photovoltaic system for your business, Brilliant Harvest can help. We offer and coordinate the following services for property owners and businesses looking to capitalize on the solar resource available to them. GreenStar Panels is an innovative product whose purpose is to save money month after month for its homeowners. It is unlikely that energy costs will go down in the future and very likely that they will rise. 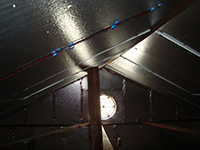 GreenStar Panels have successfully engineered an insulation system that is proven to fight the three forms of heat transfer into the attic space. The expanded polystyrene combats the conduction of heat, the air channel created between the roof deck and the upper face of the panel creates a convection channel to carry the heat away, and the foil face combats the transfer of heat via radiation. Once the product is installed, it works during the lifespan of the home and requires little or no maintenance. Panasonic is pleased to announce the launch of WhisperGreen Select™, the all-purpose, customizable IAQ solution for virtually any application. 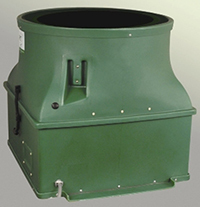 Whisper Green Select™ is a groundbreaking IAQ solution that is revolutionizing the vent fan industry with a unique set of features that enable customization and easier installation. As with all WhisperGreen™ line of fans, WhisperGreen Select™ provides unequalled installed performance and quietest operation at .25” w.g. static pressure. To the builder and professional installer, Panasonic continues to be the innovation leader with high performance ventilation solutions that are built to last. WhisperGreen Select’s™ unique design and superior energy efficiency are achieved through engineering expertise, provided by a company who sets the standard for quality and value. SemaConnect, Inc. is one of the largest developers and producers of smart networked Electric Vehicle (EV) Charging Stations and cloud-based station owner management systems in North America. Our electric vehicle charging stations are Level II (240V, 30Amps) and come in a variety of mounting options to suit your commercial application. Our charging stations have an optional Cable Management System that provides an effortless charging experience for electric vehicle drivers to recharge. 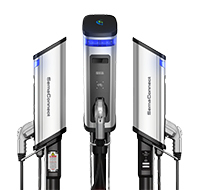 In addition, SemaConnect boasts the most options for EV drivers to start a charging session including, using an RFID card, Pay with PlugShare app, SemaConnect App, Call 1-800-663-5633 and by QR code. Tamlite Lighting is more than just another lighting supplier; we are an American manufacturing company on a mission to create jobs, enrich our communities, and produce the highest quality products on the market. With nearly 50 years of lighting experience throughout the history of the company and over 20 in America alone, Tamlite has a well-established repertoire in providing an extensive line of lighting products, including the latest LED technologies. Every year we are building on our existing capabilities to provide our customer with flexible solutions to meet their exact needs. Allow us the opportunity to be part of your business and let’s grow together. Products range from recessed lighting, commercial, indoor, outdoor, residential, and emergency and fire. Please visit our website at www.tamliteusa.com which has product information, cut sheets and much more. TEX-COTE®’s COOLWALL® infrared heat-reflective vertical wall coating system can provide surface temperatures reduction of up to 40 degrees, providing enhance durability and superior fade resistance. Titan Florida operations include cement plants, ready-mix concrete plants, concrete block plants, quarries, import and rail terminals and fly ash production facilities. Storm water runoff is the single largest contributing pollutant to many waterways. Envira Concrete, developed by Titan Florida, is the best solution we have today. When rain hits its pervious porous surface, it seeps directly into the earth which naturally filters harmful pollutants and prevents them from flowing into bodies of water. Developers and contractors are also concerned about cost. By avoiding the need for expensive drainage systems and land-consuming retention ponds, Envira Concrete actually saves money. The fact that it takes much less time to place is still another advantage. The PaveDrain System combines modern day functionality and a structural concept used for centuries to create the revolutionary permeable paving solution. PaveDrain incorporates a patented arch design in the middle of an articulating concrete block to create an internal storage chamber that can be filled with stormwater runoff, while simultaneously providing strength for heavy vehicular loads. The PaveDrain System is designed to be a critical component of Low Impact Development (LID) allowing for the infiltration of stormwater runoff. The PaveDrain System is an aesthetically pleasing Permeable Articulating Concrete Block/ Matt (P-ACB/M) that provides installation ease and flexibility to meet current and future stormwater management regulations. The PaveDrain System provides infiltration, storage, detention, conveyance, and a paving surface all in one. When combined, these features allow for a reduction or elimination in stormwater infrastructure costs while minimizing environmental impact. The PaveDrain System works. 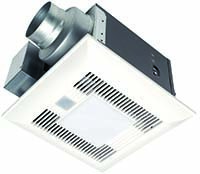 The new Zollan LED Bulb Troffer, is an innovative and ideal choice for commercial offices, schools, hospitals, educational facilities, hospitality industries, retail, and many other settings. As it is one of the most decorative and conventional way of enhancing your ceiling or the existing florescent lighting, the Zollan LED Bulb Troffer replaces ceiling tubes with the most widely-available and versatile medium-base lamps in the world. Unlike other LED troffers which must be replaced at the end of their usage, the Zollan LED Bulb Troffer is a permanent fixture which only requires a bulb replacement. As the leading certifier of green projects in Florida, FGBC is relied upon for the best and latest information on green building. Let FGBC go to work for you. . . Advertise your products here!